The Clif SHOT Turbo Energy Gel is an easily-digested source of carbohydrates and electrolytes for performance athletes during activity. It is the only energy gel made with 85-90% organic ingredients giving athletes essential nutrition for performance, with minimal environmental impact. They use a thinner consistency than most gels to make them more palatable and their clever Litter Leash ensures that the top of the packet doesn't blow away and become litter. 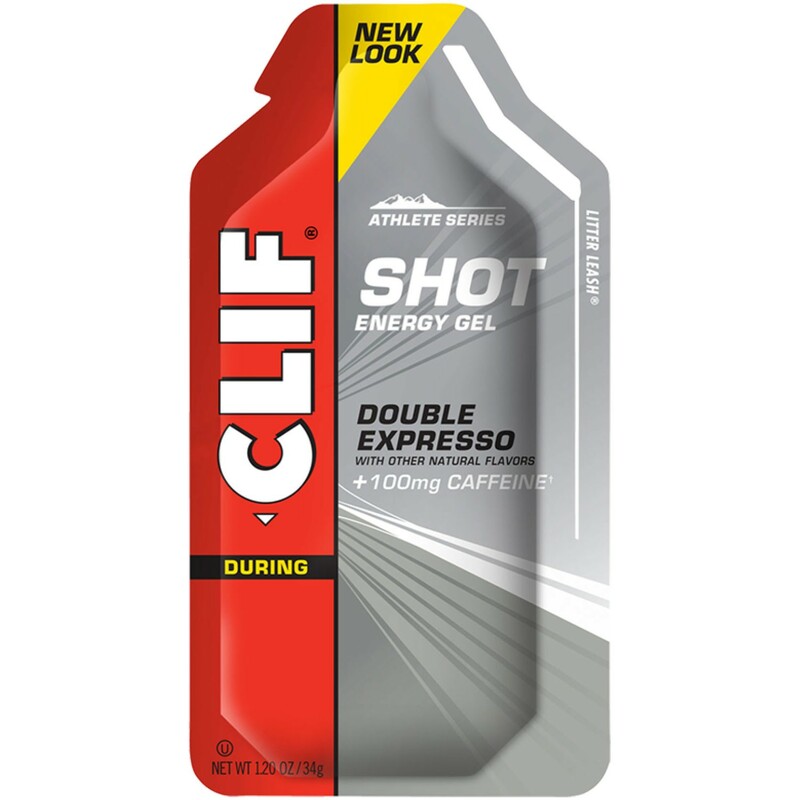 This Clif SHOT Turbo Energy 'Expresso' Gel is made with a real coffee extract and contains as much caffeine as two shots of espresso.